Man, does this bag of licorice look boring. I wouldn’t expect that I would ever buy this bag based off looks by choice-but then again, I just did. Drop shipped it all the way from England, and now it’s here in my hands. And if you thought the bag was drab, wait till you get a load of the licorice inside! 90% of people, it seems, don’t like licorice. 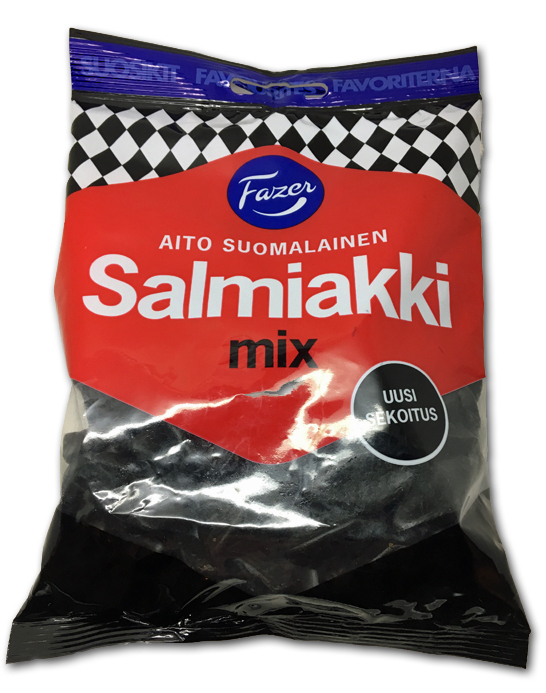 And of those who do, at least half of them, don’t like salty licorice, which is what “salmiak” or “salmiakki” is. The degree of salt varies, but the concept is that the salt notes help to bring out the licorice flavor. In this mix, we get two different pieces, diamonds and circles. The circles have a relatively low level of salt, and also include a menthol note. They’re really interesting, and I like them-but I don’t love them. However, as a compliment to the other flavor in the bag, I really think they’re great. I’m glad that there’s far fewer circles in the bag, but I’m definitely glad they’re there. The diamonds are just basically…perfect. With slightly more salt than the circles, but again, not even CLOSE to too much, they impart a perfect licorice flavor & chew. 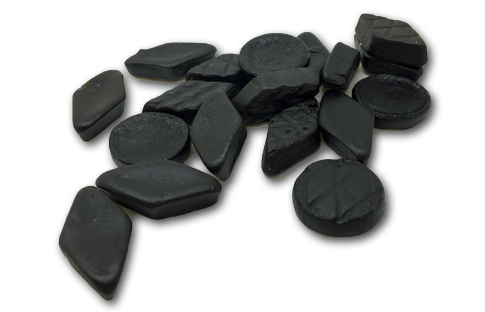 They develop a bit as you eat them, and fans of licorice will really appreciate the deep, complex flavors going on. Despite this bag looking like medicine, I have to say that this is one of the best licorice mixes I’ve ever tried. And since our pals at Candyhero.com have such ridiculously reasonable shipping rates to the states, why not try some? Of note: I ordered on a Monday and had my goods in hand exactly a week later. The world is shrinking, people, and we’re reaping the benefits.